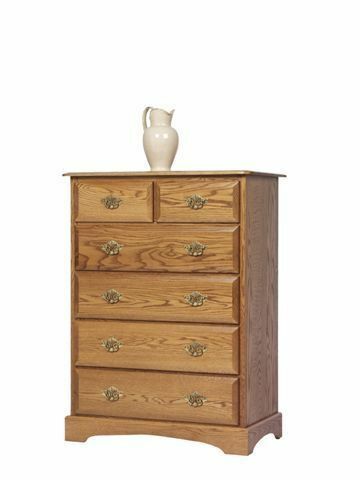 Incorporate the elegant, Early American style into your bedroom with our Sierra Classic Chest of Drawers. Crafted with a beautiful large panel Colonial design, the Sierra Chest showcases the natural grain patterns and character of the hardwood, while offering a timeless, antique feel that will make a huge impact on your space. 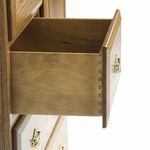 The Sierra Classic Chest will be an charming extension of your storage decor, offering six full-extension drawers, where you can store your clothes, linens and delicate items for easy access when you need them. And don't worry about overloading this chest! 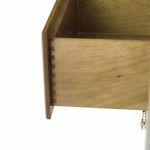 Each drawer box is dovetailed and features a 1/2 bottom and mounted on the side with ball-bearing slides that can easily support 75 lbs. Care and attention to detail are combined to form a case piece that is truly an heirloom to be handed down and enjoyed for many generations to come.